ARGA Foundation aims to create awareness among different social groups, policy makers and the general population at large to address inequality, vulnerability and development. ARGA Foundation is a non-profit, non-religious and non-political organization which aims to empower people and mobilise resources to encourage equality and sustainable development in India. We direct our resources towards citizens who face discrimination & exclusion. We provide psychosocial rehabilitation and support to the elderly, women and children who have known mental health disorders or have mild issues like psychosomatic or other common mental health issues. Our services help them to develop insight into their condition and situation, to cope better with their mental health disorder and to deal more effectively with psychosocial factors. It helps them to better adjust to their changing/demanding environment, resulting in an improved quality of life. Our services include; counselling, psychotherapy, behaviour therapy, need based home visits and other socialisation measures, occupational therapy etc. Our interventions also include creating awareness among target groups, their families and other stakeholders (service providers, policy makers etc.) 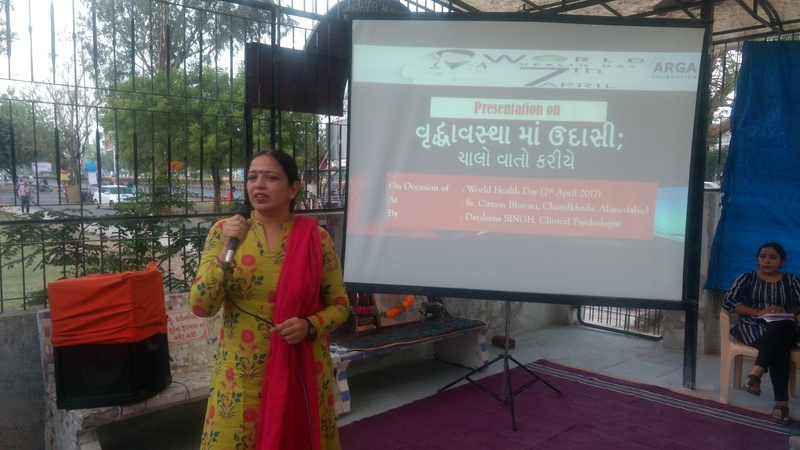 through commemoration of World Mental Health Day & World Health Day. We integrate mental health and psychological interventions in our policies and hence our HR practices are pretty much adapted to identify and address such concerns among our staff, volunteers and interns.Lastly, we remain vigilant to protect the rights of persons in vulnerable situation and design interventions with such sensitivity.